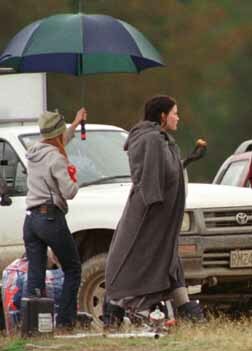 An assistant helps Liv stay dry from the rain while not filming. This image is part of the group Liv and Nazgul. For related images, see also the Liv Tyler sections.